Kampala Lord Mayor Erias Lukwago want police to probe social media activist who goes by names of Titus Seruga on his Facebook. This comes few days after Seruga posted on his timeline that the next person to be killed opposition leader after the death of Arua Municipality member of parliament Hon Ibrahim Abiriga who was gunned down on Friday 8th June near his home in Kawanda a Kampala suburb. How did he come to know that assassins have crossed to Rwanda to assassinate some of us? 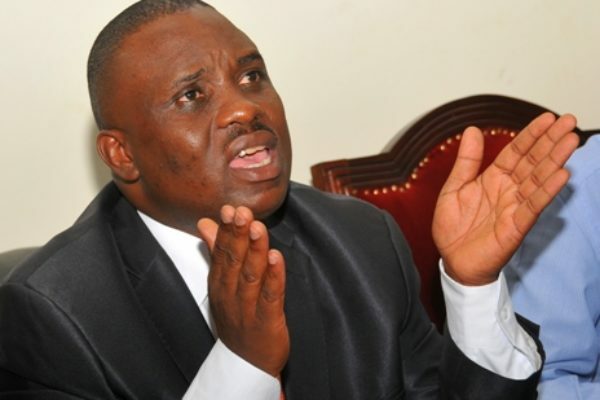 If they could arrest Betty Nambooze for merely posting on Facebook about the death of Ibrahim Abiriga, then why not hunt down Seruga to give them more details on the planned assassinations on us?” Mr Lukwago asked. Three assassins have once again crossed to Uganda to take out another high profile politician. Ugandan Intelligence is not yet aware of the next target and neither can they confirm assassin are in the country. My prediction is that the next target will be an opposition leader to raise tension in Uganda and push a narrative that the NRM has retaliated. Bobi Wine, Kizza Besigye, Lukwago and others should take extra caution in the coming two weeks. NRM leaders should also be very careful not to move at night. Cultural Leaders like the Kabaka are likely targets to create high tempers. Assassinating another high profile politician is another phase that Rwanda will take to save its agents who are under arrest, such will create panic in the country and doubt in security institutions. Arresting Kayihura and his people is not enough, many of them are still operating in Kampala, they setup their system in such a way that more attacks would come at every positive and failed stage. Through his personal assistant, Elvis Kintu Nsonyi, the Lord Mayor wrote to the IGP, Mr Martins Okoth-Ochola, about his security shortly after the threats.